The Flex-Foot Balance is a comfortable multi-axial foot that combines proven durability and stability with comfort; leading to optimum patient compliance. Its full length toe lever and multi-axial design offer a smooth transition from heel strike to toe off that is absent in most competitively priced feet. Daily activities involving gentle, steady walking with the use of a walking aid. Example: Moving around at home, modest walking in the community. The full length keel/toe lever matches the length of the sound foot, providing improved support to the prosthetic limb during late stance. It ensures that users spend equal time on the prosthetic foot and natural limb, thus providing improved walking dynamics and reduced impact to the sound limb. Benefit: Improved walking symmetry and reduced impact to the sound limb. Multi-axial compliance of the foot provides improved ground contact during ambulation on unevensurfaces. Benefit: Maintain balance, stability and comfort when walking on uneven surfaces. Sandal toe foot designs incorporate a split between the first and second toe. Benefit: More anatomical look for increased visual appeal and more functional compatibility with sandal shoes. Unity offers the security and freedom of vacuum suspension, but without the sensation and restrictions of a sleeve. This advanced system from Össur effectively addresses volume fluctuation and is totally compatible with Flex-Foot technology. With the Unity Vacuum System by Össur, there is finally an elevated vacuum system for all users. 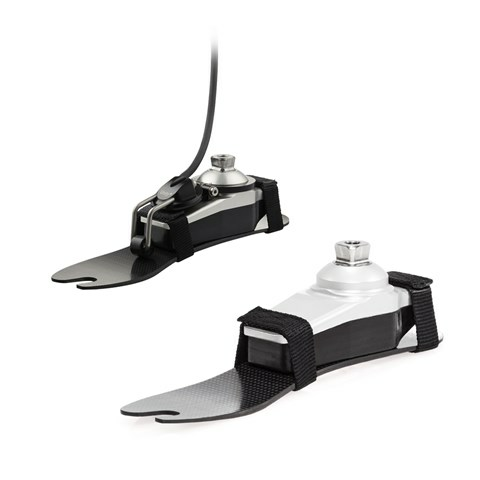 Whether an above-knee or below-knee, low active or high active, mechanical or microprocessor solution is required, the Unity Vacuum System offers the flexibility to combine a variety of Össur feet and knees to achieve the optimal combination of equipment for each unique user.